Sloans & Kenyon, Chevy Chase, Maryland, held a July Estate Catalogue auction this past weekend, July 20-21, 2018. Included in the sale were several very nice Tiffany Favrile vases that for some strange reason were catalogued as follows “This vase is not being sold as authentic Tiffany.” I called to find out why and was told by the house expert that she had shown the vases to several dealers and they had their doubts about their authenticity. But guess what? They didn’t ask me. The vases were 100% authentic, so I was able to buy them for relatively bargain prices. Lot #1199 was sold with an estimate of $100 – $200, a ridiculously low estimate for a 10″ authentic Tiffany Favrile vase, but not a reproduction, as Sloans & Kenyon assumed. I was the winning bidder with a bid of $478, including buyer’s premium. The next lot, #1200, was an even better deal. At 14¾”, it had an elegant shape with beautiful decoration. It too had a very low estimate of $200 – $250. I bought it for $836.50, including buyer’s premium. Bargain #2. 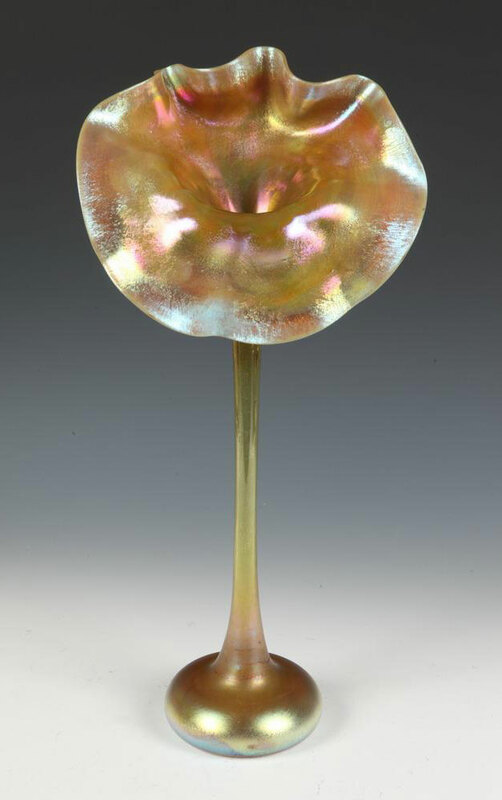 The third lot was a lovely 19½” Jack-in-the-Pulpit vase. I already had a beautiful example for sale, but at the right price I needed a second one. $5,975 was the right price, so I bought it too. All of the vases are for sale. You can buy them all at very fair prices. And a note to Sloans & Kenyon. My services are available to authenticate and appraise glass and lamps. I already am the paid consultant to several major auction houses. 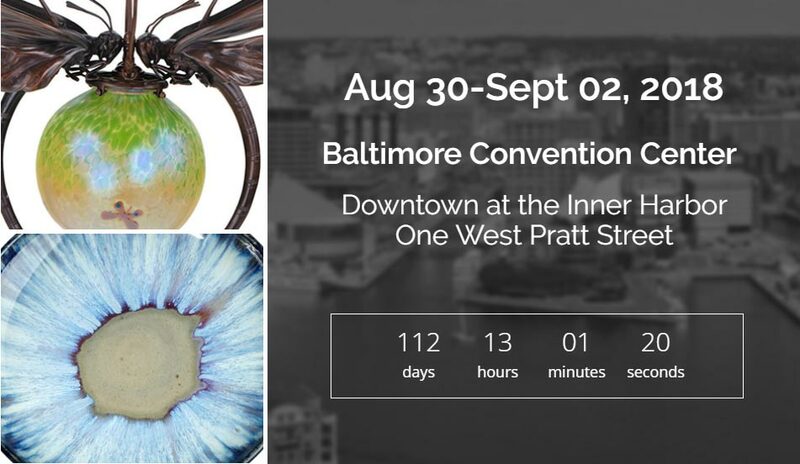 The Baltimore Art, Antique & Jewelry Show is now only five weeks away, at the end of the summer, August 30 – September 2, 2018. We were forced to give up shows like Denver. Unfortunately the Baltimore show promoter has moved the show one week later than usual, to the Labor Day weekend. The show used to be held over the Labor Day weekend, but that was many years ago. The show is wonderful, so we’ll continue to exhibit there regardless of the change of dates. 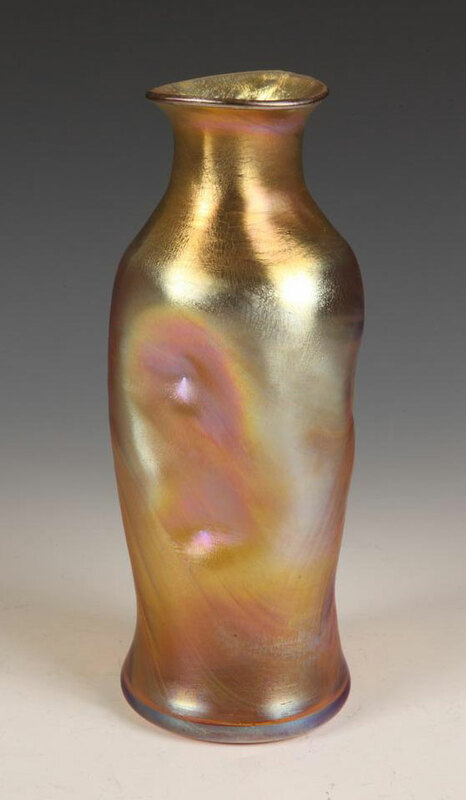 This entry was posted in Auctions, Tiffany and tagged chasenantiques.com, Philip Chasen, Philip Chasen blog, Sloans & Kenyon, Tiffany, Tiffany Favrile, Tiffany Studios by Philip Chasen. Bookmark the permalink.